When it comes to working out and maintaining a fit lifestyle, I've long touted the importance of mixing things up. Now don't get me wrong, routine is crucial. Without it, you're likely to lose motivation. You've got to develop habits and build patterns. Whether that's 30 minutes on the treadmill followed by 30 minutes of free weights, running a few miles on your favorite trail, or hitting up cycling class in the a.m., a routine is essential to meeting -- and beating -- your goals. But let's be honest, doing the same thing day in and day out can get pretty, well, dull. That's where variety comes into play. Stepping out of your comfort zone may be scary, but it's often really worth it. Speaking from personal experience, I spent about a full year doing the exact same thing at the gym. Granted, I was still in that early phase of trying to establish (and stick to) a routine. In other words, just getting to the gym was the end goal. And my routine was fairly standard: 30 minutes of cardio + 30 minutes of weightlifting, 3-5 times a week. Then it hit me: I was bored. Like, really bored. Sure, I still loved working out and being in the best shape of my life, but something was off. I realized that I had hit that dreaded plateau. The routine I had worked so hard to build was no longer fulfilling my needs and lifestyle as a fit person. As a result, I wasn't feeling challenged. That's when I decided to slowly start making changes. This meant trying new things, even if I was nervous, intimidated, and/or completely lost. I began going to yoga on Wednesdays, which became the perfect remedy for my midweek blues. I checked out some of my gym's fitness classes like cycling and Kettleball Kut, the latter of which opened up my eyes to all of the amazing moves you can do with just one little kettleball. And then there was Pure Barre. Once upon a time, I was a dancer. That's not to say that I was a particularly good dancer, but I did a lot of dance as a kid and throughout high school. Perhaps it would be more accurate to say that I have a dance background. Okay, so as someone with a dance background, this idea of a barre fitness class was rather intriguing. And -- just my luck -- Pure Barre had finally landed in Nebraska! Moreover, the studio was offering a fantastic (and affordable) pre-grand opening special of six weeks of unlimited classes for $99. However, as someone who hasn't stepped foot in a dance studio in years and who was never classically trained ballerina material (I'm looking at you, Misty Copeland), I was super apprehensive about signing up. I kept envisioning a room filled with long, lanky ladies with perfectly sculpted muscles and incredible poise -- meaning I would probably stick out like a sore thumb. I kept talking to my boyfriend (and trusty workout partner) about Pure Barre and how I couldn't decided whether to check it out. Maybe I brought it up (or pestered him) enough, but he bought me the special pass, which meant it was time to pull a Nike and just do it. And wow -- I am so glad that I did! First off, the studio is absolutely gorgeous. It's clean, organized, and inviting. It's also conveniently located in the center of Omaha and is easily accessible from I-80 (great for me since I live in Lincoln). Secondly, the staff and instructors are all amazing and very welcoming. Kristen Papenfuss (the owner) and her team went above and beyond to get to know me by name, and to greet me each time I walk into the studio. I always feel appreciated and valued when I walk in for a class. ...hence the Pure Barre mantra of "lift.tone.burn." 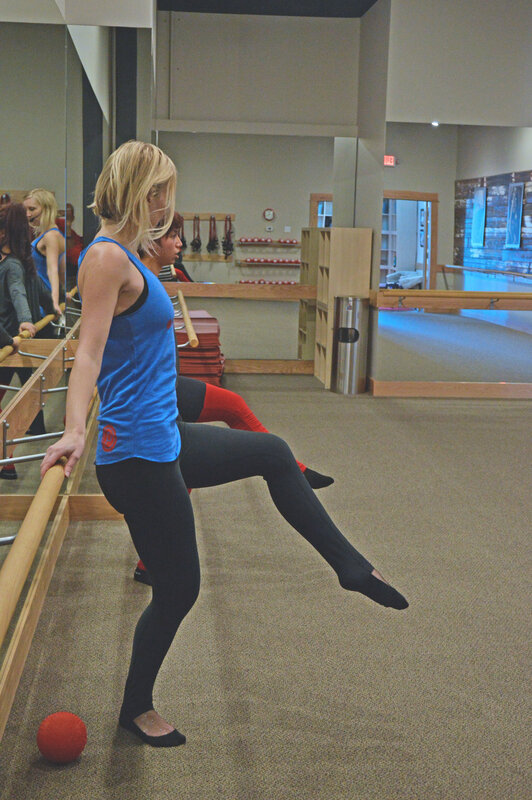 The Pure Barre technique is low-impact, which means your joints are protected because bouncing or jumping is avoided throughout the class. Each strength section of the workout is followed by a stretching section that helps create long, lean muscles without bulk. I could go on and on about my newfound love for Pure Barre, but I'll stop there so we can get to the good stuff. I approached Kristen about a new feature on Rivas Raves called Fitting In. The concept is to check out various fitness studios/classes, chat with an expert, and learn the ins and outs of the workout so you can be less intimidated about trying something new or different. 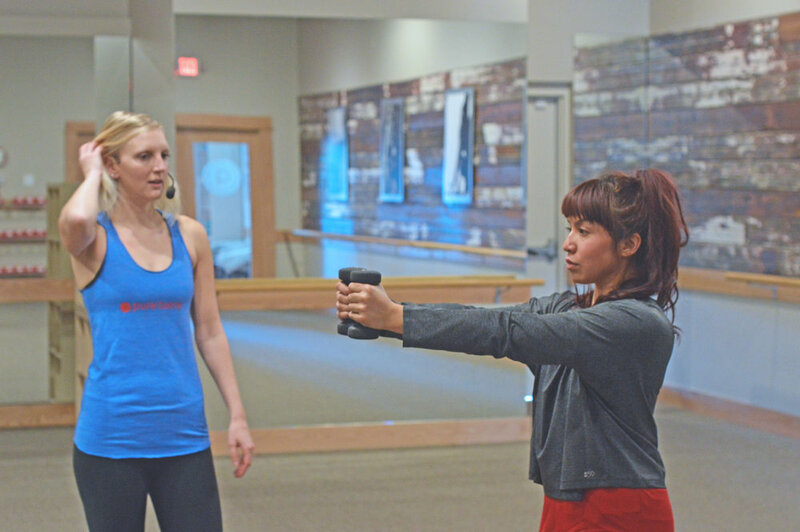 Mekita: When and where did you take your first Pure Barre class? What was that experience like? Kristen: I took my first class two years ago at a studio in Washington, D.C. while I was visiting for my cousin's wedding. I had heard so much about Pure Barre, and my first class proved that everything I had heard was true: Pure Barre is a fun, unique technique that has the power to change bodies. It also changes mindsets about what "working out" can and should be. 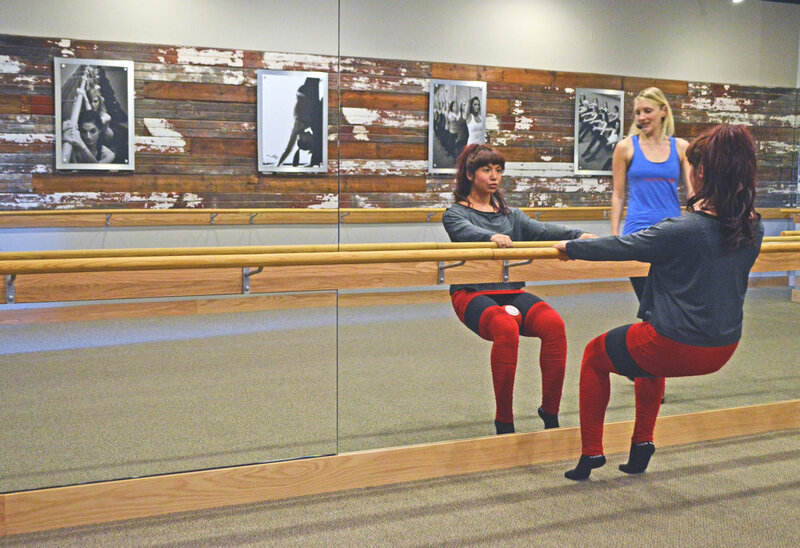 M: What inspired you to open a Pure Barre studio of your own in Omaha? K: After my first class, I wanted to do another, and another...but I was heading home to Omaha. I knew that I wanted to share this awesome experience with my community -- and I also wanted to cultivate a Pure Barre community of motivated individuals who share a common goal of healthful living. "It was extremely fun and rewarding to design my studio as a welcoming, warm, and comfortable space where our Pure Barre family is encouraged to stay after class to ask questions and chat with friends, shop, and enjoy a coffee." M: What were some of the biggest challenges you faced in opening your studio? How did you overcome those challenges? K: Honestly, I did not have many challenges -- the entire process felt "right" from the start. I had the best help in the business in Howard Shrier from The Lund Company, and it was just a matter of time to find the perfect location -- Loveland Centre -- and the best builders in town, RONCO Construction. It was extremely fun and rewarding to design my studio as a welcoming, warm, and comfortable space where our Pure Barre family is encouraged to stay after class to ask questions and chat with friends, shop, and enjoy a coffee. 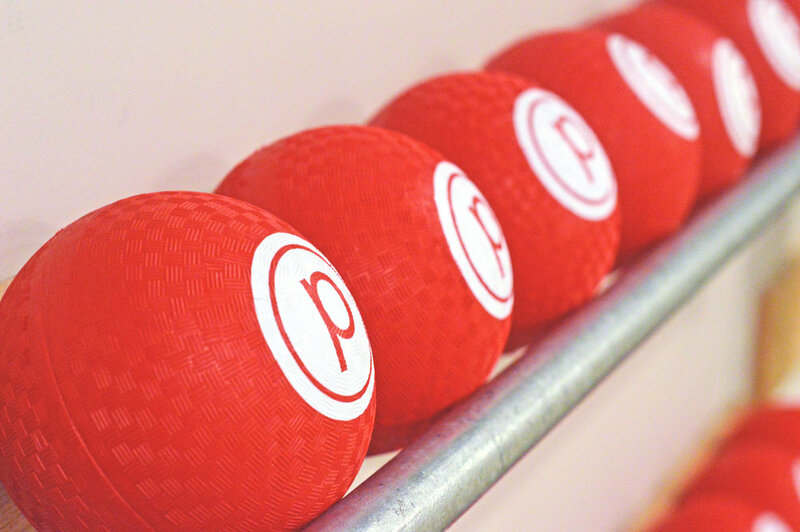 M: What do you think sets Pure Barre apart from other fitness classes? K: Pure Barre is an amazing workout. It is fun, challenging, ever-changing, and is embraced by bodies of every age and fitness level. 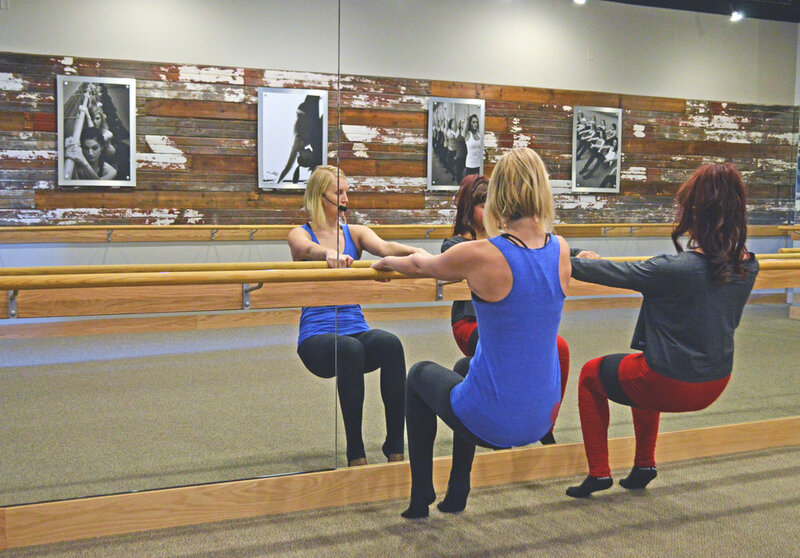 The beauty of the Pure Barre technique is that it is completely modifiable so that a 16-year-old, a 96-year-old, an injured ex-college athlete, and a fitness junkie can be in the same class and each have an extremely effective workout. Your body will change. Period. Yet, Pure Barre goes beyond being just a workout -- it is a lifestyle that fosters a community of individuals who support and encourage each other to live healthful lives. "I want every person who enters my studio to be inspired to eat healthier, live fuller, and lift.tone.burn their way to their best self." M: How do you decide which activewear and merchandise to sell in your studio? K: I love clothing and design! I buy lines for the studio that I would wear. I am also mindful of women's bodies and strive to find pieces that flatter a variety of body types. M: What are some of your favorite activewear brands and pieces? K: I love the look and feel of everything Beyond Yoga. Splits 59 leggings are slimming on everybody. I am especially excited for the Spring/Summer Karma collection -- I am getting some awesome, fun pieces that can be worn to, from, and at the Barre. "With quality activewear, you can feel the difference in your body and how it performs." M: Why do you think it's important to invest in quality activewear? K: In everything, I think quality over quantity is your best bet. You truly get what you pay for: better fabric, better fit, greater longevity. I can understand the popular standpoint of, "It doesn't matter what I look like when I work out -- I get sweaty!" -- but with quality activewear, you can feel the difference in your body and how it performs. Plus, if you have the confidence that you look good, it increases your confidence in what you're doing and how you're doing it. M: What do you hope your clients take away from their Pure Barre experience? K: First of all, I hope every client has fun and feels welcome. A very close second is seeing and feeling the change in their body as a result of their hard work at the Barre. My teachers have more than 35 years of experience, not only teaching fitness, dance and Pilates, but also in nutrition and dietary counseling. I want every person who enters my studio to be inspired to eat healthier, live fuller, and lift.tone.burn their way to their best self. "You may find your best self is just on the other side of that new experience." M: If someone is on the fence about trying Pure Barre for the first time, what would you say to encourage them to go for it? K: "Great things never came from comfort zones," or "If you do what you always did, you'll get what you always got." You have nothing to lose in trying something new. In fact, you may find your best self is just on the other side of that new experience. Special thanks to Kristen, Alese Deans, and the entire PBOL team. 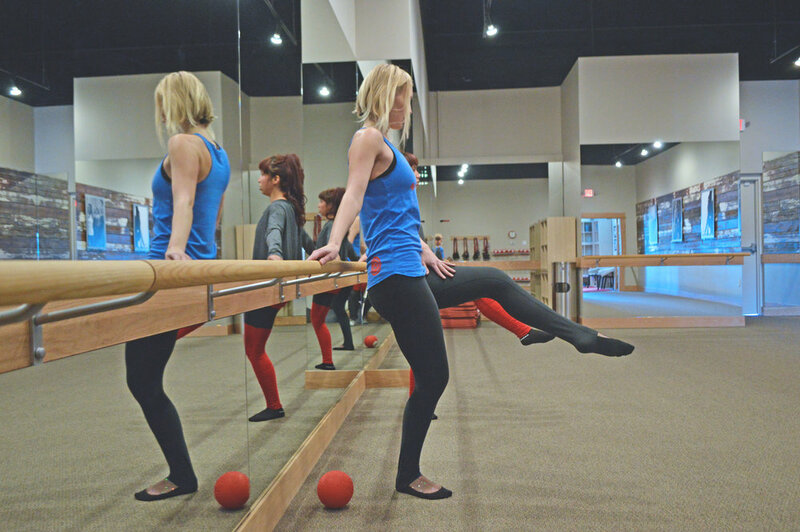 To learn more about Pure Barre and to find a studio near you, visit purebarre.com.